Wayne Senior Center was in need of an update to their brand. Power Design collaborated with the center to streamline their existing logo, update their brand colors and fonts, and shoot new photography. Projects have ranged from a SquareSpace website to advertising and an annual report. The success of the center is important to the local Wayne community and our design firm. At the Wayne Senior Center we are so very grateful that we found Power Design. We were in desperate need of a new brand. Their team, particularly, Lisa Delaney immediately understood who we are, what we do, and our special niche in providing services for the older adults in our community. 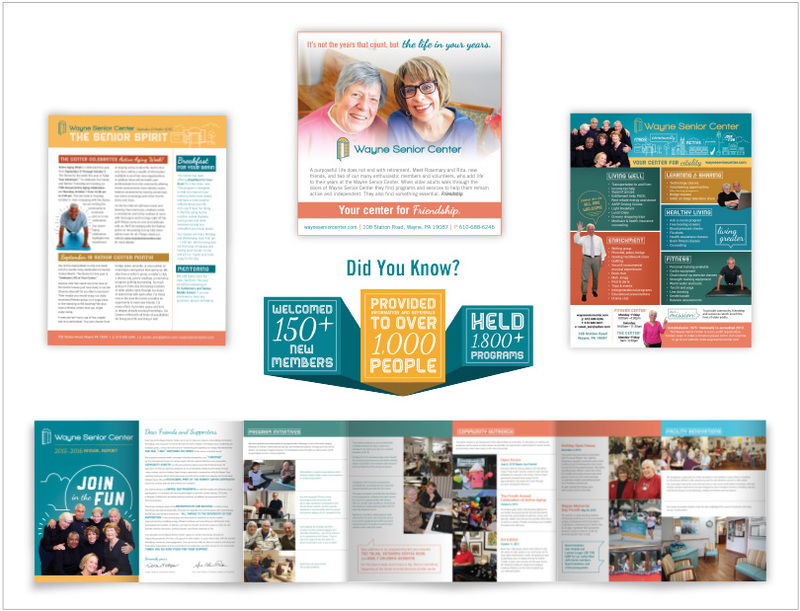 The website, newsletter, and marketing materials that Lisa and her team designed took us to a new level. We absolutely love our new look and are constantly receiving compliments. 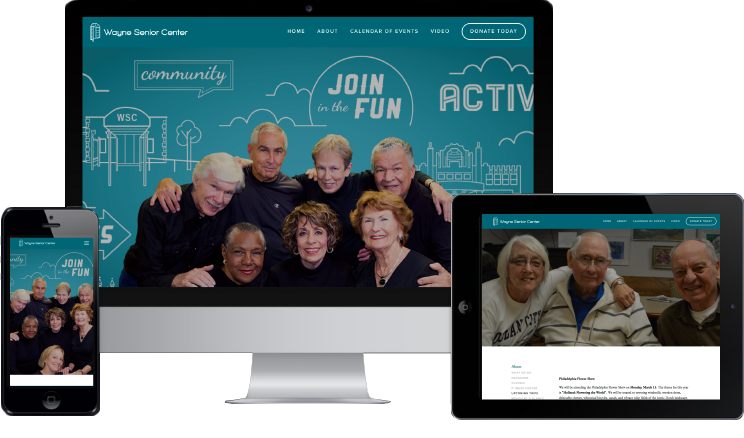 Our new brand truly reflects the Wayne Senior Center. I can’t say enough good things about Power Design!